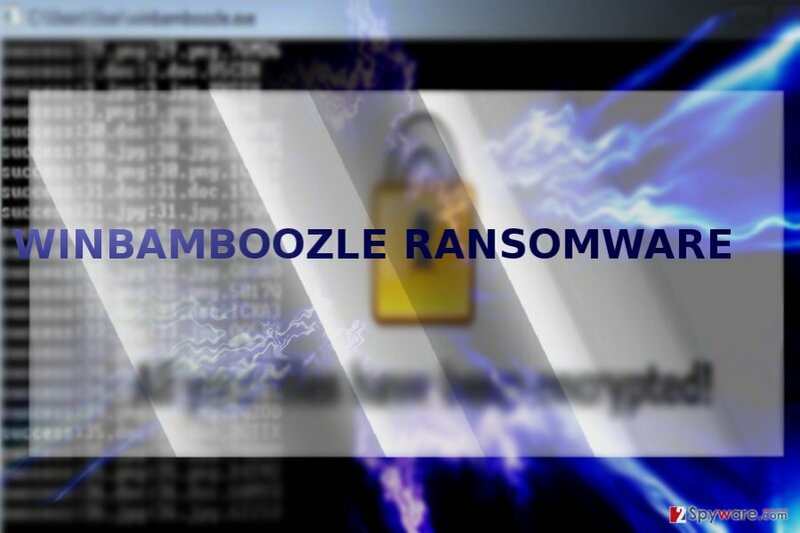 WinBamboozle ransomware uses sophisticated techniques to infiltrate computers and hide from its victims. Use Reimage to determine whether your system is infected and prevent the loss of your files. The malware links to Cerber? WinBamboozle virus happens to be a new file-encrypting threat which encodes files most probably with AES-256 or RSA-2048 encryption key. Interestingly, it appends a different extension to encoded files. It consists of 5-digit character. At the moment, the ransomware is still in its early stage, as the felons have not devised its unique graphic users‘ interface. However, it is known that it is capable of disguising under User Account Control notifications. Fortunately, you can cease the attack by simply canceling the command. More information is provided in the below sections. Meanwhile, you can save time and start WinBamboozle removal. Reimage or Plumbytes Anti-MalwareMalwarebytes Malwarebytes helps you do that. This threat should not be taken too lightly as the malware still has a low detection ratio. Furthermore, its encryption mode refers to Cerber‘s peculiarities. The latest versions of this threat tend to append a miscellaneous file extension. Furthermore, another feature reinforces such assumptions. WinBamboozle ransomware functions via full.zip executable which prompts UAC message. Fortunately, it indicates the name of the virus – WinBamboozle. Additionally, this message also emphasizes that the publisher cannot be verified. This peculiarity reminds of other notorious crypto-malware – Spora virus. However, in the latter case, it counterfeits UAC message to disguise the executable under seemingly legitimate Windows processes. At the moment, the malware can hardly compete with the mentioned viruses, but it surely implies the potential of the threat. Naturally, users struck by this threat might be looking for a decryption tool. Let us remind you not to get tempted to purchase WinBamboozle Decrypter proposed by the hackers. Even if the tool decodes the files, you may only create more chances for a future cyber attack. Make a rush to remove WinBamboozle. Since it functions via such misleading file, full.zip, it might lurk for victims in gaming websites or in a corrupted torrent file. You might have accelerated WinBamboozle hijack by downloading a corrupted application as well. In addition, note that the malware may have sneaked into the operating system via a file a corrupted spam attachment. It is a common way of infecting users with malware. Recently, a new spam technique has surfaced when users do not need to click on a corrupted file, but simply hover over it! Thus, in order to lower the risk of a cyber assault, you do not only need to stay vigilant but employ security applications. In that case, you may benefit from above-suggested applications. WinBamboozle developers seem to sympathize with Cerber and Spora creators as they have borrowed distinctive features from them. Though the malware is indeed may evolve into a serious threat in the future, it is of high importance that you performed WinBamboozle removal right away. In that case, launch a cyber security tool. Though we have mentioned, that it has a low detection ratio, the major cyber security companies might have already updated their virus databases. In that case, update the security tool and remove WinBamboozle. If you cannot launch it or encounter further UAC messages, take a look at the below steps. Once you restart the system into Safe Mode, you should be able to terminate the infection. Log in to your infected account and start the browser. Download Reimage or other legitimate anti-spyware program. Update it before a full system scan and remove malicious files that belong to your ransomware and complete WinBamboozle removal. In case the first method failed to restore access to important files, you may use System Restore. When a new window shows up, click Next and select your restore point that is prior the infiltration of WinBamboozle. After doing that, click Next. Once you restore your system to a previous date, download and scan your computer with Reimage and make sure that WinBamboozle removal is performed successfully. Guide which is presented above is supposed to help you remove WinBamboozle from your computer. To recover your encrypted files, we recommend using a detailed guide prepared by 2-spyware.com security experts. In case you have run out of possible options and had not backed up your files in advance, you might use this tool. It is said to recover damaged and lost files. 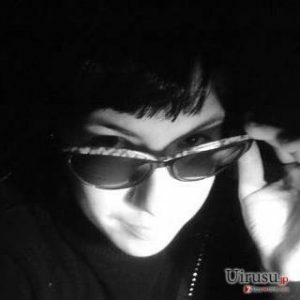 Since the malware is still under development, it is unlikely to delete shadow volume copies. With the help of these patterns, the application restores the files. ^ Jack Wallen. Ransomware: The most important thing you can do not to be a victim. TechRepublic. News, Tips and Advice for technology Professionals. ^ Dan Goodin. Banking trojan executes when targets hover over link in PowerPoint doc. Ars Technica. IT News and Reviews. This entry was posted on 2017-06-19 at 01:39 and is filed under Ransomware, Viruses. You can quickly scan the QR code with your mobile device and have WinBamboozle ransomware virus manual removal instructions right in your pocket. How did you remove WinBamboozle virus?